An amazing side effect of cold laser was discovered while I was treating a jaw injury. The clients eyebrows grew back! She had been drawing them in for years and thought it was a lost cause to ever get the hair back. Lo and behold, within a few treatments on her face, the eyebrows had grown back. 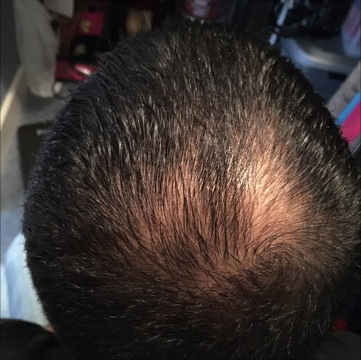 This started me on my next journey of helping all those women and men who had thinning or balding heads. I was able to help these people at a fraction of the cost of what Hair Clubs were charging. People could also pay as they go, instead of having to commit to thousands of dollars up front. I also started a program for people doing long term treatments. Prepay 4 treatments and get the 5th one free. Who doesn’t like getting something for free!!! Here are some of my discoveries while helping people grow in their hair. 1) Dark hair grows in faster, especially for those with darker skin too. 3) It does not work for everyone, I can’t guarantee. I have discovered 2 people it did not work for and a few others that gave up after not having a full head of hair in 3 treatments. It is going to take time, it did not fall out in a week, it won’t grow in that quickly either. 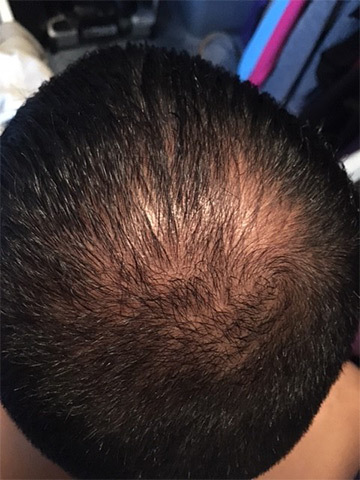 4) Diet and nutrition have a huge amount to do with hair loss. I can’t keep it in if your diet consists of sugar, boxed foods, and Mcdonalds. If you eat like that it will continue to fall out. Vitamin B12 is very, very important. 5) Get a soft pillow case, satin or sateen. Cotton actually pulls hair while you sleep because it is a rougher fibre. 6) De stress when you can. Stress has many harmful effects on our bodies and can contribute to hair falling out. Don’t give your hair a reason to fall out. 7)Remember that topical preparations for hair growth work only as long as you use them – hair falls out again when you stop. (big business is going to hate me for that one). If the laser works then you don’t need to buy a bunch of other things to use at home. 9) Typical maintenance programs are monthly, bimonthly and sometimes just a couple of treatments a year.